Expert Review of Hannukah Candles by 0, one of our picks of the top Jewish books for kids! Q: What's a menorah without candles? Channukah is the festival of lights, right? You can go to your local grocery store and buy the cheap wax candles, or you can beautify the mitzvah with these gorgeous candles. The box includes 45 hand-dipped candles in festive layers of colors and accents. 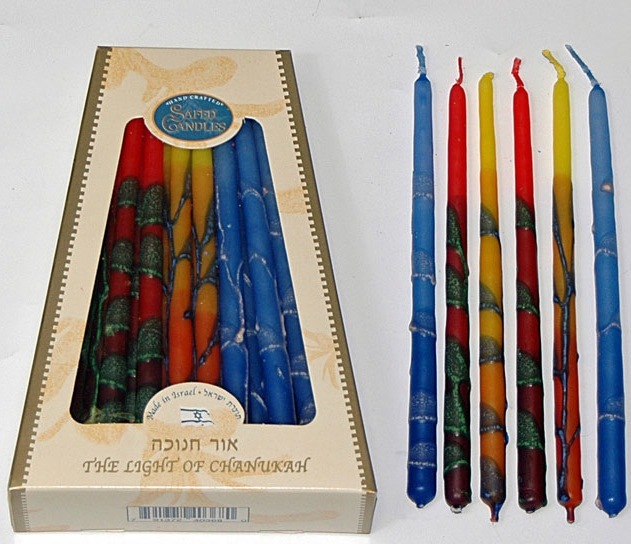 These striking Chanukah candles are manufactured in Israel by the Safed Candle Factory, a small factory in the holy city of Safed/Tsfat, world renowned for their beautiful and one of a kind candles. Goldy says: "These are very beautiful candles and will enhance your menorah!"